Iranians will choose its seventh president on June 14, 2013. Current President Mahmoud Ahmadinejad has served as Iran’s chief executive for eight years. Under its constitution, he cannot run for a third time. The country is about to get a new president who, even with Supreme Spiritual leader Ayatollah Khamenei having the leading role in the country’s domestic and foreign policy, will be in a position to make a significant impact on the future course set by the government of Iran, which remains, as before, the focus of both Russian and US attention. Considering the environment in Iran during the run-up to the election, it would be wrong to assume that there are no problems or internal political struggles in its power hierarchy. They do exist, and they not only crop up from time to time, they become inflamed, and we hear about them frequently from the Iranian and foreign media. For example, there has been serious friction between the spiritual elite and the Ahmadinejad government on a number of issues, and the Majlis has clashed with the president on more than one occasion. However, there has been no instability among the leadership or signs of a government crisis in Iran. We should not forget that Iran is under constant pressure and subjected to hostile actions by the United States that inherently form a significant impediment to the government’s activities. The situation places great demands on the country’s leaders and requires that they seek innovative solutions for dealing with the West’s adversarial position — which has reached its peak in the economic sphere — in resisting the impact of the oil embargo, which by various estimates has cost the country between $30 and $50 billion. Of course, the sanctions are intended both to paralyze Iran’s economy and provoke unrest and rioting in Iran, force people to take to the streets against the ruling system and cause a crisis on the eve of the presidential election. Iranian spiritual leader Ali Khamenei told the officials responsible for organizing the upcoming presidential election that “the enemy tries before each election to create an atmosphere of distrust among the people; however, the Iranian people are so intelligent that they never feel betrayed.” I can agree with that. According to a recent survey of Iranians living in the country conducted by the American Institute of Public Opinion that was published on February 7, 63% of Iranians still support the government’s policy of continuing nuclear research. Considering that the survey was conducted against the backdrop of the inevitable sharp worsening of peoples’ economic situation caused by the international sanctions, Iranians placed most of the blame on the US government. For example, 47% of those surveyed blamed the United States directly for making their situation worse. The people heard Supreme Leader Ayatollah Ali Khamenei’s appeal for them to vote and thereby respond to “attempts by foreign enemies and their henchmen within the country to discredit the republic’s political system and Iran’s voting system.” It is difficult at the present time to say how free the upcoming presidential election will be. Voting during the election for seats in the Majlis suggests that there will be a slate of candidates to choose from. Competition during those elections was high. More than 3400 candidates competed for 290 parliamentary seats, meaning there was a choice. On average, the occupant of each seat in parliament was elected from a field of 11 candidates. It currently appears that there will be quite a few candidates for the presidency; the first have already announced unofficially that they are running, although registration has not yet begun. Members of the Three-Member Principlist Coalition are the most likely candidates for the presidency: former Majlis Speaker Gholam-Ali Haddad-Adel, Khameini’s chief advisor and former Foreign Minister Ali Akbar Velayati, Tehran Mayor Mohammad Bagher Ghalibaf and current Speaker of Parliament Ali Larijani. However, I think it is too soon to comment on the intentions of individual Iranian politicians about becoming head of the country’s executive branch. I think it would be more logical now to review the current balance of forces in Iranian society, which will have to choose the president. Referring to the protests that followed the previous presidential election in 2009, Iran’s official Foreign Ministry spokesman Mehmanparast said, “Enemy has increased pressure on the Islamic Republic of Iran to the highest point in the hope of repeating the 2009 unrest and creating crisis before or after the election.” Indeed, as some American political analysts believe, it would be very tempting for the United States to wait for a serious domestic political crisis and instability in Iran that could cause changes in its existing system of government instead of a unilateral military attack on Iran by Israel. That no longer seems a fantasy given what happened during the revolutions of the Arab Spring, and the prospects of a “Persian summer-2013” are making people in Washington work overtime. 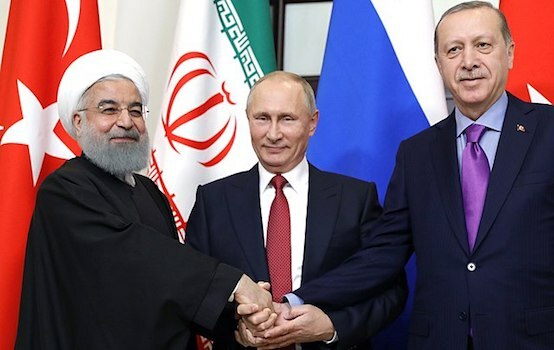 They are rushing to impose additional sanctions prior to the election in order to inflame the situation in Iran to the maximum extent possible. They are counting on the special appeal that Western values and democracy supposedly have for the Iranian public and on peoples’ natural dissatisfaction with the strict Islamic rules that govern their daily lives. Washington even thinks the Iranians want regime change and desire more responsive leaders able to quickly normalize relations with the United States and Europe. I would not argue against the idea that extrapolation is a highly effective methodology. Nevertheless, before trying to understand the logic of the Americans and their Western colleagues that apply conclusions based solely on observations of the Iranian diaspora in the United States and Europe to the entire 75-million population of Iran, let’s make an attempt to analyze the actual social composition of Iranian society. In my opinion, there are three main trends and political biases in Iranian society today. The first group of Iranians, and the largest, is completely satisfied with the achievements of the Islamic revolution, which has given the second generation much better opportunities in the spheres of education, health care, employment and freedom of religion than did the Shah’s government. This was the sector of Iranian society that bore the brunt of the eight-year war with Iraq, the 20th century’s longest. Their families suffered the heaviest losses during that war. They were the human resource for the then-nascent Islamic Revolutionary Guards Corps (IRGC), which has become the armed forces’ most powerful component. The IRGC is still the chief military guarantor of the inviolability of Islamic rule in Iran. Suffice it to say that the country’s entire missile capability resides with the Corps. Western values mean absolutely nothing to them. They strongly support territorial integrity and sovereignty and firmly believe in their spiritual leader’s special mission, and his decisions are considered inviolate. That means issues on both the international and domestic agenda cannot be questioned. 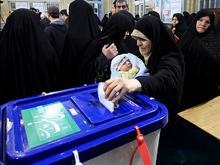 This part of the Iranian public usually votes for the candidate backed by the clergy, whose position usually agrees with that of Supreme Leader Khamenei. There is little reason to believe that their position will change to favor a pro-Western candidate or a president who advocates limiting the Supreme Leader’s power. An assessment of the jobs they hold should recognize that they are susceptible to significant internal dynamics. By that I mean the citizens who do not belong to the narrow social groups and systems that adhere to Islamic values and norms frequently exhibit a healthy amount of Iranian nationalism. They include ministers and executives of major industrial enterprises, province heads and members of the national scientific and industrial elite. Another large sector of Iranian society living in Iran is chiefly represented by entrepreneurs, merchants, physicians and lawyers, in a word, those who are often referred to as the middle class in international parlance. Among members of this group one may encounter a wide variety of political views, hear criticism of the clergy and see interest in and imitation of the Western lifestyle. However, they vote very much like members of the first group. It is true that these citizens are motivated by different factors. Instead of commitment to Islamic values, they are interested in improving economic conditions for their businesses, stability and tranquility, and harmony between the president and parliament. American destabilization plans do not fit their political views well, either. The likelihood that they would form the basis for a fifth column is extremely low. The most that can be expected from them is that they would not vote. Political passivity is very consistent with their social behavior. Finally, the third sector of society, which would be more accurately defined as a group, truly believes Islamic rule is inefficient and would like to restore many of the Western attributes of statehood to Iran. They criticize the government, gloat over the conduct of Majlis members, and complain about social conduct norms, the Islamic dress code for women and much more. They generally have close ties with the Iranian diaspora in the United States and Europe, have close relatives who are permanent residents there and themselves live in Iran for short periods of time. But even they are patriots when it comes to Iranian nuclear research or the American military threat. In these matters, they are more royalist than the king. Many members of the Iranian diaspora in the United States rejected the Islamic revolution and have remained hostile to the Islamic Republic, but they consider Iraq entirely within its rights to continue nuclear research. Of course, they are unable to affect the final outcome of the presidential election. In conclusion, I would say that the White House’s formula for calculating the Iranian population’s protest potential — the increase in the dissatisfaction Iranians feel towards their government is directly proportional to an increase in the sanctions — is not going to work during the elections. But we cannot be certain that there will be no rioting in the streets — nor can the Iranian authorities themselves. Indeed, it is entirely possible that the presidential candidates themselves may resort to populist appeals for their supporters to demonstrate their support with civil disobedience, and that may include taking to the streets. If that should happen, however, things may get rough, because the forces of law and order are not used to handling those who instigate riots of any kind with kid gloves. Nikolai Bobkin is an expert on the Middle East. 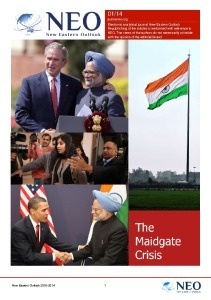 This article was written expressly for New Eastern Outlook.